Freshfields Farm’s story starts in 1973, when the company opened in Orlando, Florida as Momm’s Meats, a family owned and operated neighborhood butcher shop. Freshfields Farm’s story starts in 1973, when the company opened in Orlando, Florida as Momm’s Meats, a family owned and operated neighborhood butcher shop. Within eight years, the company added farm-fresh produce, and expanded its name accordingly – Momm’s Meats Popp’s Produce. Over the next 25 years or so, Orlando grew, and so did the company; in 2008 Momm’s Meats Popp’s Produce emerged anew, and still family owned, as Freshfields Farm. Freshfields Farm’s selection has expended beyond meat and produce, and now includes pre-packaged grocery, prepared foods, seafood, deli, dairy, and fresh ice cream. In the past five years, Freshfields Farm also opened an outlet in Jacksonville, Florida. Today Freshfields Farm has a huge and dedicated following, thank to its faithfulness to its brand mission: to be known by their customers as the ultimate retail destination for the finest quality, and freshest meats and produce in the Southeast. As the rebranding of Freshfields Farm emerged along with a new, large-scale physical plant in 2008, management knew that they had to reinvest in modern throughput processes. Their first thought was to take care of the front of house. They established that a simple scanner-style POS system, saddled with common grocery attachments, would fulfill their immediate needs. For bookkeeping, they picked the best-known inexpensive solution, QuickBooks. Freshfields Farm settled for a low-cost retail POS system that was a carry-over from the electronic scanner cash register industry of the early 1990’s. It was designed to service the local small corner market industry, and offered weak analytics and little or no weighing, packaging, and preparation integration. Unfortunately, as they grew in volume over the next few years, they started facing challenges to provide cost effective “back-of-the-house” solutions to enable them to meet their target margins. Freshfields Farm managers were well aware that most tier-one supermarket grocers were routinely modernizing their processes. This was especially true when dealing with huge fresh perishable offerings. The company saw a growing need for such an investment. By 2011, management was nearly overwhelmed by the sheer volume of daily transactions and the manual processes they were forced to use as a function of their non-integrated systems. Suddenly, Freshfields Farm managers realized that their daily functional requirements were more in-line with the functionalities provided by large supermarket systems rather than the neighborhood grocery system they were using. Embedded centralized General Ledger and financial accounting management. After a thorough and lengthy vetting process, the company selected LS Nav, by LS Retail and its partner Microsoft Dynamics. LS Nav is a comprehensive ERP solution that met and surpassed all Freshfields Farm requirements; and it had emerged as the only true end-to-end product-sales ERP solution available for middle, and major market retail and hospitality applications worldwide. The solution was installed by LS Retail partner Navisiontech Inc., which offered expertise with both the Microsoft NAV ERP and all the unique embedded functionalities added by LS Retail. Based on Navisiontech’s experienced guidance, Freshfields Farm wisely chose to implement the LS Nav financial accounting system first. Management assumed correctly that their biggest challenge for the financial department would be to re-educate and divest itself of flawed processes inherent with the former QuickBooks General Ledger system. Once the General Ledger was set, and financial managers were readily embracing their enhanced new system, Navisiontech developed and implemented an interim bridge to import both the item database and to post daily sales from the legacy retail grocery system. Additionally, product receiving was also live with the use of LS Nav mobile inventory guns. All product and supplier data was then live and together in a single database, something that was impossible with their prior disparate POS and financial systems. Purchasing and inventory processes were then completed in the new LS Nav database system. As live inventory and purchasing were in position, Operations was ready to launch. At this point, Freshfields farm wanted some hardware updates to enhance customer service. Large cashier touch screens, oversized (ad-friendly) customer displays, in-counter scanner-scales, were installed on about 16 active checkout lanes. The most striking integration, was the use of third-party Invatron technology to make the item database, complete with extended ingredient descriptors, expiration dates, prices, and schedules communicate with a host of smart labeling scales and automated combo scale/wrapping machinery. A third-party card payment process program, ChargeLogic, was also deployed to manage all card and EBT payments through Verifone Devices. Shortly after the initial store was completed, plans expanded to a second store location (Jacksonville, FL) which was easily deployed on the same database as the headquarters in Orlando. Freshfields Farm realized benefits across the front and back of house. Financial services gains were easy to garner with the new LS Nav General Ledger and financial package. Though it seemed somewhat complex at first, it soon emerged as a great time saver and ultimate short-cut process maker over the simplistic QuickBooks legacy system. In Freshfields Farm’s financial department’s view, once the store revenues and costs became totally live near the end of implementation, daily cash management, postings, reconciliations, budgeting, and financial reporting became a breeze with LS Nav. Purchasing and inventory management gains were immediate. All non-perishable pre-packaged dry grocery is now easily manageable using the standard LS Nav client which can be set to min/max stocking levels. Freshfields Farm managers noted a sharp decrease of under/over stocks. However, the true LS Nav magic was applied within the meat, produce, seafood, and prepared food departments. Each has access to the LS Nav built-in production BOM and Recipe Cost accounting processes. These are the bases of producing finished packed-out products from raw purchased goods. With the aid of Navisiontech cost accounting analysts, seasoned Freshfields Farm managers were able to simplify their cost and margin calculations for finished sales items in near real-time. This is something that previously took days to accomplish, and often resulted in chasing or simply confirming already-lost profits. This single native LS Nav process center greatly enhanced daily efficiency and saved huge margin losses across all departments. in process time because it ties the requisitions to the creation of hundreds of actual individual Purchase Orders. Then the purchasing agents provide final oversight as to best delivered costs and timing. Freshfields Farm has been able to meet their daily profit expectations without raising prices by accurately tracking volumes and pricing for finished products based on immediate raw cost and standardized waste, spoilage, and labor factors. According to Freshfields Farm purchasing and inventory managers, LS Nav’s unique processes enabled them to save costs and increase margins while keeping customers happy with the specific choices they demanded. Operational gains were no less dynamic. LS Nav’s complete integration to smart scale and packaging systems saved dozens of man-hours on new item additions and daily price updates - and saved hundreds of dollars a day in incorrect rings and costly price checks. The efficiency of LS Nav also enabled high-speed checkout, no matter whether discounts have to be applied, or what tender is used. The true operations hero comes in the amazing array of management reporting and business intelligence, staff scheduling/time-tracking and attention to hourly reports. The implementation of LS Nav has returned thousands of dollars monthly as Freshfields Farm has been able to adjust its staff, products, and promotions almost instantaneously, enhancing customer service, confidence, and buying. As it looks to the future, Freshfields Farm maintains an strong relationship with LS Retail through its partner, Navisiontech, who continuously provides full support and LS Nav upgrade implementations. As we deploy the unique mobile customer services and loyalty apps from LS Omni, LS Retail’s customer relationship management system will guide us in our understanding of how to serve people better. Thus, LS Retail and Navisiontech will provide us the tools to aid us in making Freshfields Farm the ultimate retail destination for the finest-quality and freshest meats and produce in the Southeast. LS Nav has provided us with the means of finding new and better ways to take care of our customers who have been very loyal to us over the years. 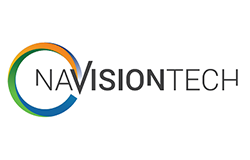 In the end, LS Retail and our partner Navisiontech will enable us to continue to grow.